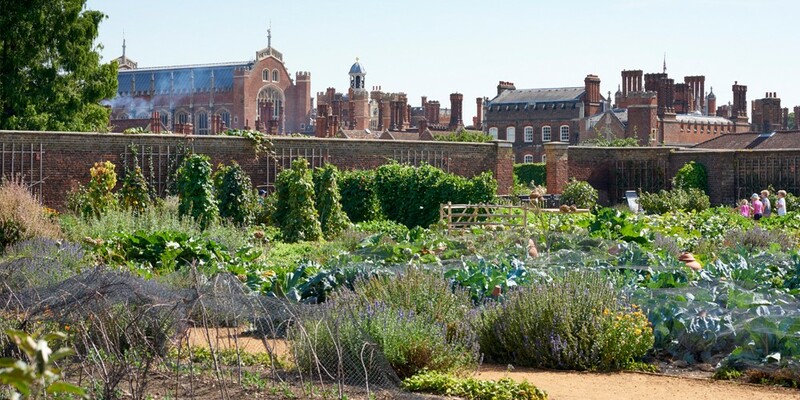 This garden lies within the former Tudor tiltyard of Hampton Court Palace. The tiltyard lost its function when the sport of jousting became obsolete in the late sixteenth century. 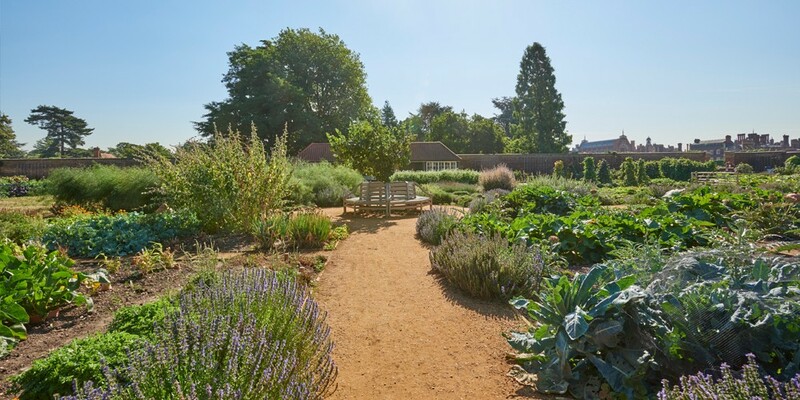 It subsequently appears to have been kept clear as a piece of waste ground, until in the early 1690s it was metamorphosed into a princely kitchen garden for William and Mary. This garden was given over to private nursery gardens in the c19th and was latterly laid out as an herbaceous garden. 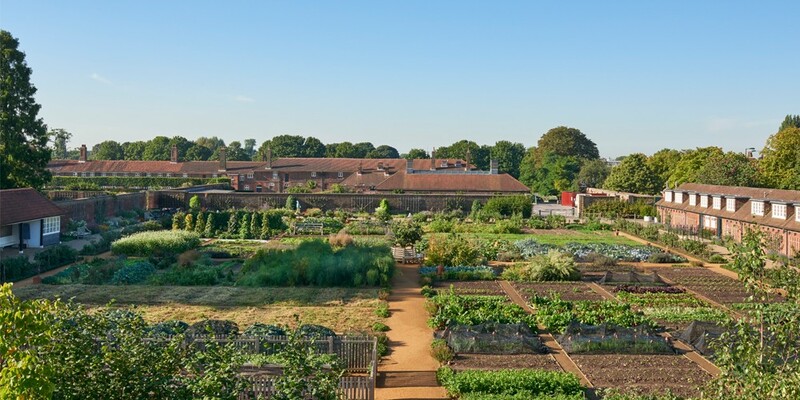 The new garden layout is loosely based upon a plan published in George London and Henry Wise’s The Retir’d Gardener (1706). 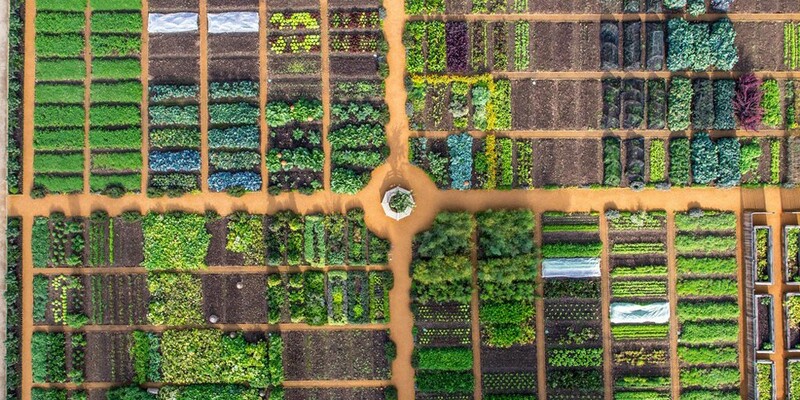 The one-acre garden is divided into compartments by a regular grid of alleys and ‘Cross-Walks’ which are encompassed with plates-band edged with herbs or box and planted with alternating rows of dwarf fruit trees shaped to form cups and balls (chalices and pompoms). The selection of esculents, flowers, herbs and fruit is informed by lists published in late c17th and early c18th gardening books.